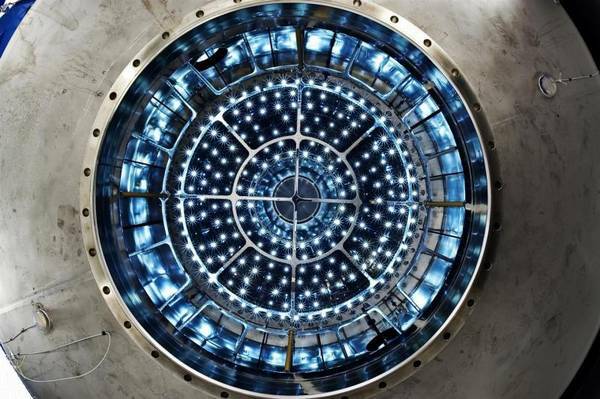 The “Cosmics Leaving Outdoor Droplets “(CLOUD) Experiment at CERN utilizes a 20 m3 cloud chamber for studying possible links between galactic cosmic rays and atmospheric cloud formation. The CLOUD experiment involves an interdisciplinary team of scientists from 17 institutes in nine countries, comprising atmospheric physicists and chemists, and cosmic-ray and particle physicists. The Proton Synchrotron at CERN provides an artificial source of “cosmic rays” that allows for the simulation of atmospheric conditions between ground level and stratosphere. The goal of the studies performed at the CLOUD chamber is to increase our fundamental understanding of aerosols and clouds, and their effects on climate. Thereto aerosol and cloud microphysical processes such as new aerosol particle formation, aerosol particle growth, cloud droplet activation, and cloud droplet freezing are studied inside the CLOUD-chamber. TROPOS contributes to the planning and the realization of the cloud microphysical experiments at the CLOUD-chamber at CERN, and carries out investigations concerning the activation and ice nucleation behavior of the aerosol particles generated inside the chamber. In part, Investigations are complementary to those carried at the „Leipzig Aerosol Cloud Interaction Simulator” (LACIS). TROPOS’ work is partly funded in the framework of the European Union Marie-Curie-project CLOUD-TRAIN, and by the German federal ministry of education and research (BMBF), project CLOUD-12.